Presbyterians are Going to the People's Climate March! 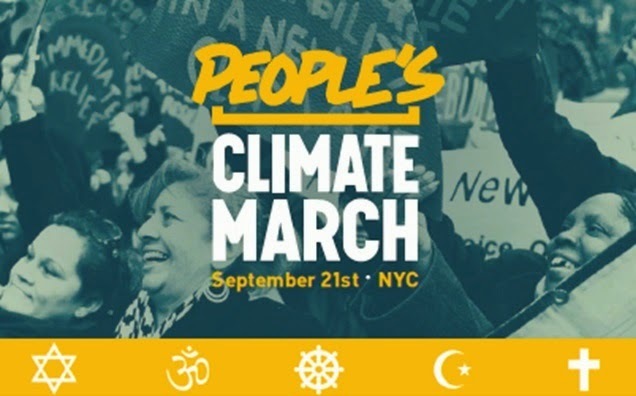 On September 21, hundreds of thousands of people are going to New York City to participate in the People's Climate March. Presbyterians will march along with many other faith communities. The march route is available here. Be sure to check Logistics for the Interfaith Contingent as information becomes available up to the time of the March. A Facebook event has also been set up for Presbyterians to share information. • The Interfaith Contingent assembly area will be on W. 58th Street between 8th and 9th Avenues prior to the March. This block holds 10,000 people, and we want to fill it up! The map for the general location of each faith group is posted here. Look for the Presbyterian sign! • Be sure to enter W. 58th Street from the 9th Avenue end. The 8th Avenue end is in the Columbus Circle area, and will be blocked. • The Interfaith Contingent will be the last to step off into the March. This gives people worshipping in their own churches that morning more time to get to the March. The organizers are anticipating step off may happen between 12:30pm and 1:30pm, but it may be earlier, and may very well be later, there is no way to know. • There will be a multi-faith prayer service starting at 11am on 58th Street. World-class musicians will be featured and prayers will be offered by leaders of many faith traditions. One of the musicians is Michael Fitzpatrick, a cellist who has worked with the Dalai Lama on Tuning the Planet. An excellent sound system has been rented so that everyone should be able to hear the service. • Presbyterians have also been invited to worship with Rutgers Presbyterian Church (W. 73rd Street between Broadway and West End Avenue) at 11am and join the congregation in the March. • Social Media: Follow what Presbyterians are doing on the March: #presbyPCM and follow the March in general: #climatemarch. 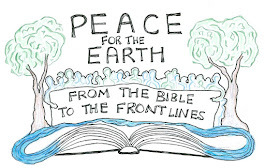 • At 6pm, join people from across a range of faiths and traditions in a ritual of covenant and commission for the future of our Earth at the Cathedral of St. John the Divine (Amsterdam Avenue at W. 112th Street). This event is open to the public and passes may be requested here. Can’t go to the March? You can support it from wherever you are! Participate from your local congregation at 1pm in the Global Climate Chorus, making a prayerful noise outdoors, ringing bells, chimes, offering a call to prayer, or other outdoor spiritual observance. Note that the whole March plans to take part in the Chorus as well. After the March: Sign the ourvoices.net petition which lifts up the voices of the world’s diverse faith communities, and those from many spiritual backgrounds, to ensure that world leaders clearly hear the moral imperative for a treaty by the December 2015 climate meetings in Paris. Sign the petition here. Hope to see you in NYC on September 21 so we can pray together with our feet! On August 12, 2014 Bishop David Mahaffey and Bishop Shelley Wickstrom, and I, Executive Presbyter for the Presbytery of Yukon in Alaska, testified before the EPA concerning the Pebble Mine and Bristol Bay. In 2012 the General Assembly of the Presbyterian Church (USA) went on record as fully supporting the EPA in its work of protecting and restoring the environment. We are grateful for the EPA's work now and consider its involvement important. 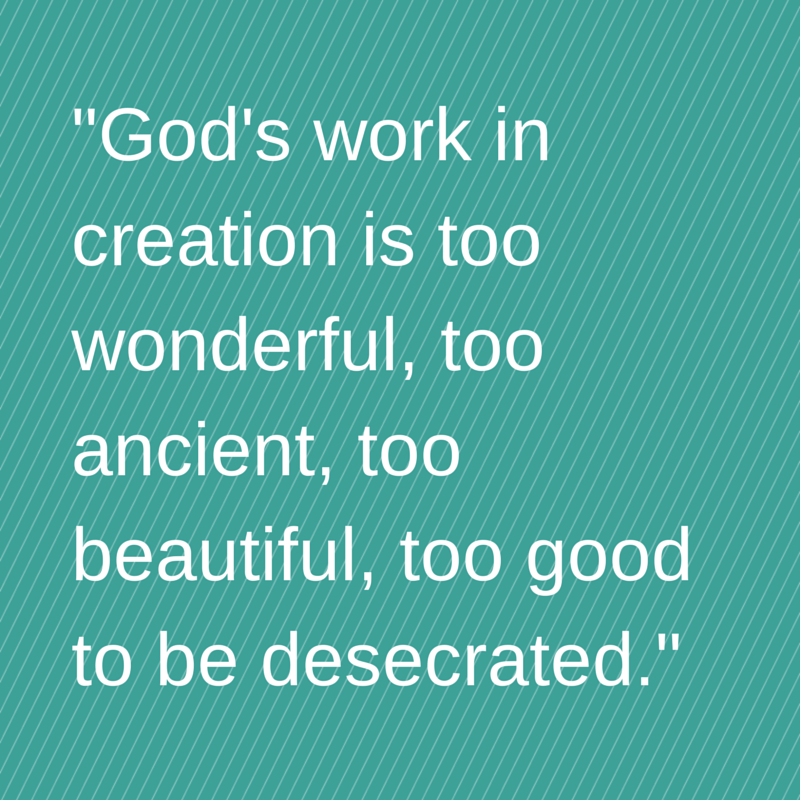 Presbyterian denominational policy states: "Indeed, Presbyterians understand God’s creation to be sacred, and therefore it is something that can be desecrated." In this case, the Bristol Bay watershed, the world’s largest salmon spawning habitat, has flourished for millennia with local residents participating in the bounty and care for that habitat. Now the reports are in and the science is clear: this mine puts the watershed at risk. Pebble Mine might provide jobs and products for a generation or two, but it would put an ancient and sacred habitat at risk, as well as the unique way of life of the Alaskans who have cared for it so effectively. This mine risks the ‘desecration’ of that watershed to satisfy one or two generations’ desires. We need to assure that Alaskans can always live in harmony with this watershed habitat, that they can always enjoy the fishery jobs this watershed provides, and that this ancient Alaskan way of life can continue. Join the two bishops and me in an interfaith request to invoke and implement the 404-C protections provided through the Clean Water Act. Ask the EPA to protect this incredible piece of God’s creation today. The comment period ends September 19 so don’t delay! Lively, leaping salmon, clear splashing water, sacred rivers, lakes and streams—no where is your handiwork more evident, Holy One! Give us, we pray, the will to keep your beautiful Bristol Bay watershed the way you created it. Amen. The world is becoming more and more complicated. Both coping and responding are becoming more difficult. Yet, commitment to a healthy, socially, and sustainably just society and Earth are vital to our existence as individuals and as a world community. We must renew and refresh and remain on task in caring for each other, caring for Earth. During our recent General Assembly, the convention center filled with a sense of energy, spiritual centeredness, and hope. There was throughout, a feeling of gratitude for the strength of this denomination, yet at the same time, a knowledge that our strength is through our faith and our connection with our Creator. We are a body of Christ, seeking guidance in working toward being a model for society. This denomination was well represented. The stalwart organizational strength of the PC(USA) was evident. The brilliant enthusiasm of youth was empowering. 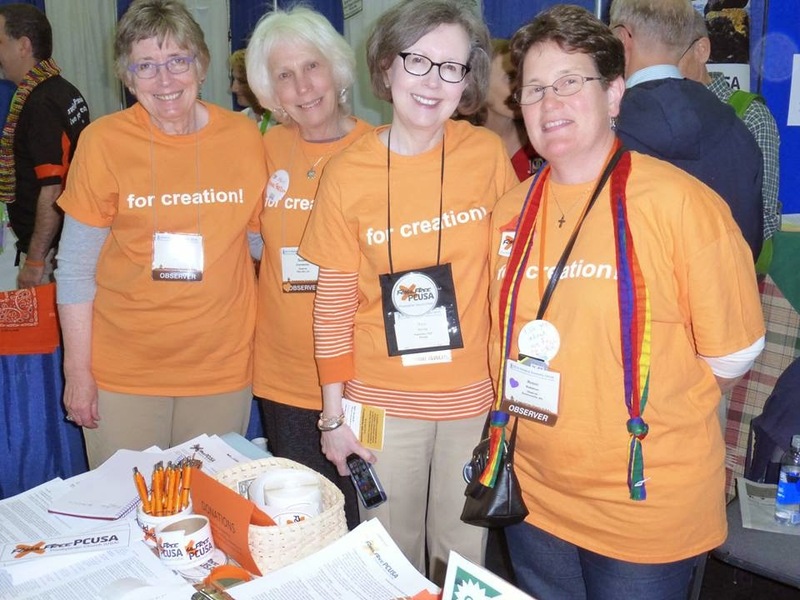 Hard-working members brought overtures and resolutions to committees, many of which moved to the floor of GA.
And there was the fire, glow, and energy of a new light among us, Fossil Free PCUSA, dressed in appropriately tinged orange shirts and kerchiefs. They were noticed. We as a body of Christ are all indeed called: we are called to respond and commit in working toward a healthy, beautiful planet. True, it is difficult, challenging, and complicated. Yet God has gifted us individually and collectively with what is needed to heal the planet. I am grateful for your gifts, your commitment, and your work. Equitable global trade and aid that protects local economies, cultures and livelihoods. Strength to you all as we work toward climate justice, social justice, and a more loving and sustainable world community. Note: This prayer was written by Holly Hallman, PEC Vice Moderator, as she took part in the PEC-Yukon Climate Conference in Alaska, along with 39 others.